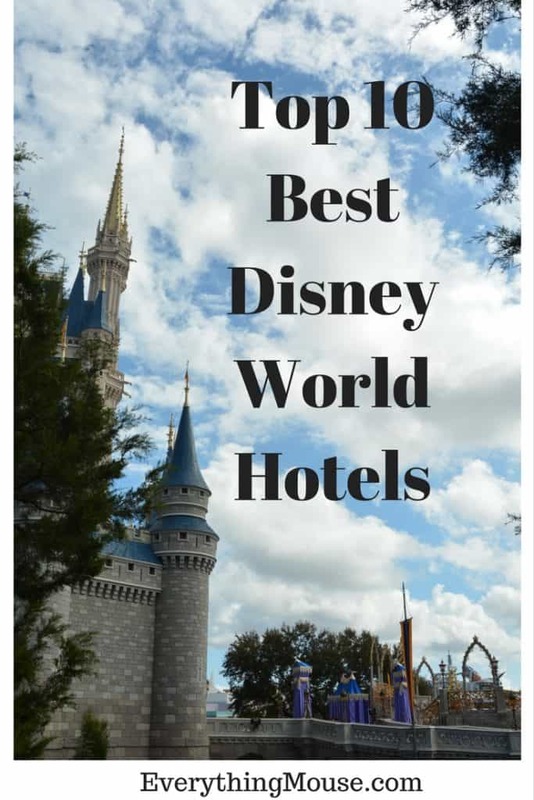 There are so many Disney World hotel resorts to choose from that it can get overwhelming when deciding where to stay for your vacation. Which Disney World hotels are the very best? 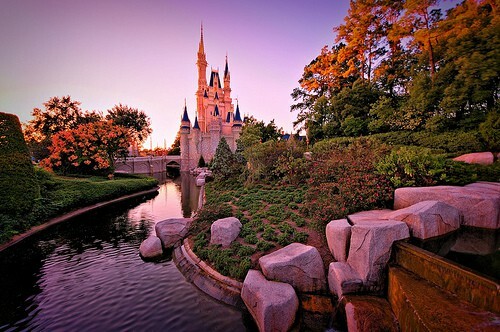 Which is the best Disney World Hotel Resort for you depends upon many things. Which theme, location and budget suit you best? 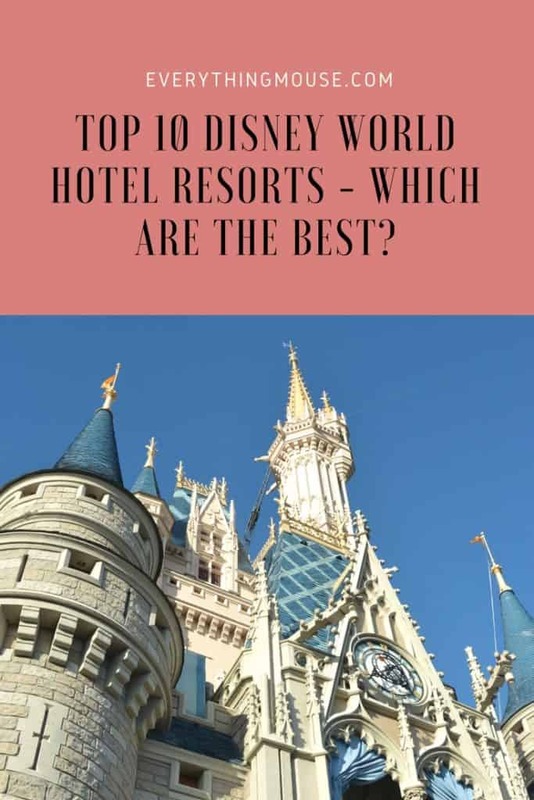 Here is my own Top 10 Disney World Hotel Resorts selection. Do you agree? 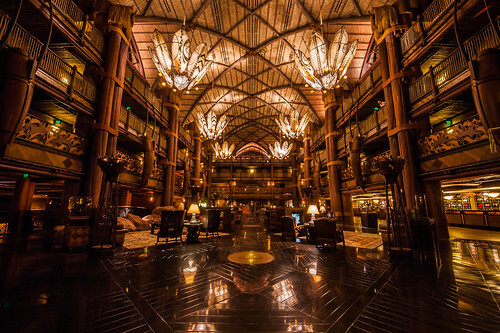 Disney’s Animal Kingdom Lodge has to win the top spot for unique hotels not just in Walt Disney World, but in the whole of North America. There really aren’t many places where you can step out on to your balcony and watch a giraffe or a zebra walk on by. This Deluxe Disney World hotel is built around around huge savannas where animals freely roam. As soon as you step into the lobby you feel as though you have stepped into a very different, and very relaxing world. It is a perfect haven away from the non stop activity of the Disney World theme parks. 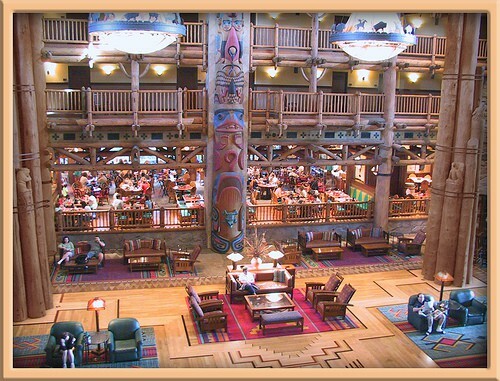 Rooms in Animal Kingdom Lodge are not the largest of the Deluxe Disney Hotel Resorts. At an average of 344 square feet they are not exactly huge. However, if you get a Savanna view this really makes up for the smaller space. The only downside is the location of the Animal Kingdom hotel as it is the most remote of all the Disney World hotels. It is next to Disney’s Animal Kingdom park but you have to take Disney transportation or rent a vehicle to drive there – there is no walking path. If you are looking for a Disney hotel with a great location and sleek modern design then look no further than Disney’s Contemporary Resort. This is one of the original Disney World hotels and has recently undergone a complete refurbishment. 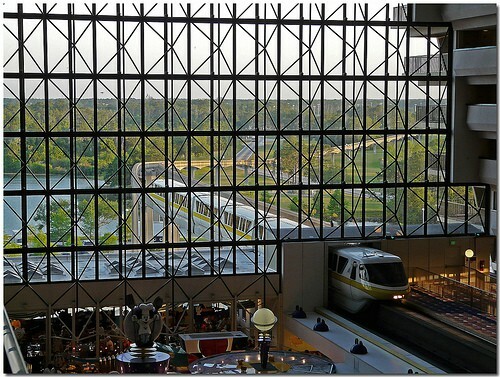 You can’t get any closer to the Disney Magic Kingdom monorail – it actually runs through the hotel lobby! The rooms have a contemporary design and are a generous size at an average of almost 400 square feet. Many of the rooms in Disney’s Contemporary Resort have great views of Bay Lake, Seven Seas Lagoon, or of course the most coveted of all – Magic Kingdom. Disney’s Art of Animation Resort opened in May 2012 but this quickly found it’s way into the Top 10. 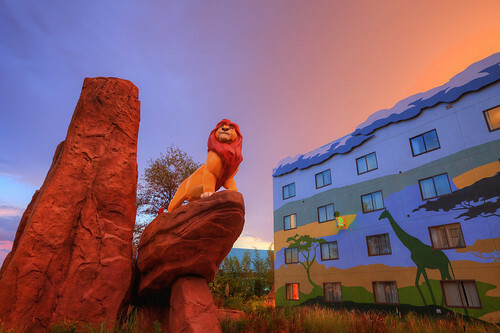 The much awaited new Disney Value resort is themed around some of the most popular recent Disney movies: The Lion King, Finding Nemo, Disney Pixar Cars, and The Little Mermaid. 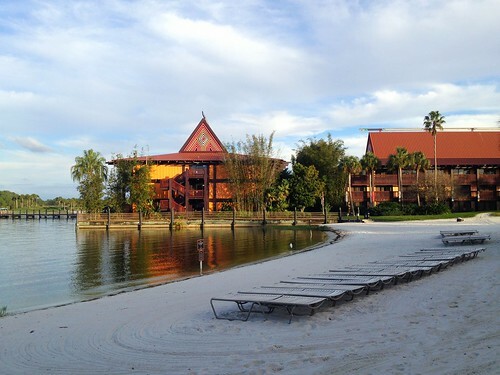 The Disney World Hotel Value Resorts are a great choice for guests on a budget. Here you will find great motel style accommodation at a reasonable price, with all the advantages of staying on a Disney resort. The Art of Animation Resort is very popular, not only because of it’s beautifully themed rooms, but also because it offers a new kind of accommodation. The relatively budget friendly Family Suites which sleep up to 6 guests. 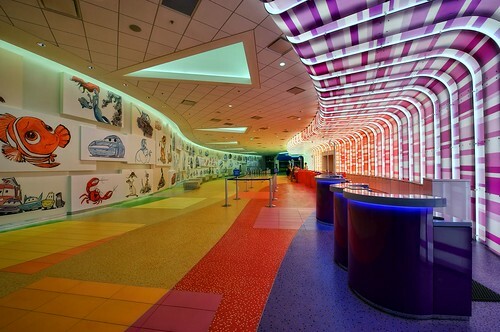 The Art of Animation Suites offer around 565 square feet of space. They are the equivalent of 2 standard rooms. The Suites at Disney’s Art of Animation Resort all have a master bedroom with a Queen sized bed and adjoining bathroom. The other room has a sleeper sofa and an unusual feature – a dining table which converts into an additional bed. There is an additional full bathroom and a kitchenette which has a microwave and mini-fridge. You aren’t going to be cooking any gourmet meals in the Suite, but it is useful for saving some money on food if you are organized. These Disney Art of Animation Suites also have the advantage that they have interior corridors, rather than the usual exterior motel style of the other Disney Hotel value Resorts. There are 1,120 Suites available. The standard rooms in The Art of Animation Resort are a very reasonable 277 square feet. There are 864 rooms available. 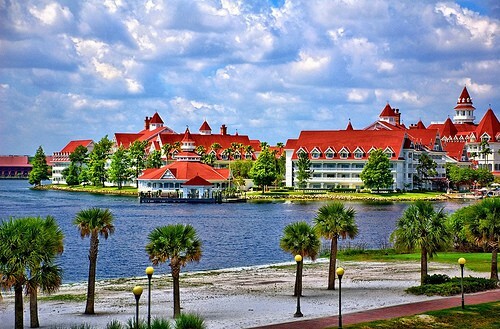 The Grand Floridian Resort is the most luxurious of the Disney hotels. Located on the shores of the Seven Seas Lagoon it is ideally placed for access to the Magic Kingdom. Style and elegance are the influences here. Themed around the magnificent Victorian sea side resorts you will feel as if you belong whether you are wearing a dinner jacket or a Goofy Hat. The rooms at Disney’s Grand Floridian are a very generous 440 square feet on average, and many have great views over the Lagoon and the Magic Kingdom. The resort has 2 beautiful swimming pools, tennis courts and of course the full service spa. The Grand Floridian has some of the best restaurants in Disney World including Victoria and Alberts and Citricos. It is also home to one of the best character buffets at 1900 Park Fare. The Wilderness Resort is another deluxe Disney hotel. This is perhaps the most architecturally stunning of all of the Disney resorts. It is modeled after the Old Faithful Lodge in Yellowstone National Park and has a wonderful welcoming and relaxing atmosphere as soon as you arrive. It makes you feel as though you are in one of the great National Park lodges even though you are only minutes away from Magic Kingdom by bus or boat. The rooms are beautifully furnished but at 340 square feet on average are the smallest of all the deluxe Disney resorts. Disney’s Wilderness Resort has all the features that you would expect from a luxury resort including 2 great swimming pools one of which has a water slide. Artist Point is an excellent restaurant which has a great setting at Disney’s Wilderness Lodge. There are other casual dining choices too although these are not as extensive as at other deluxe resorts. Whilst it is a beautiful setting and close to Magic Kingdom, the Wilderness Lodge is the most isolated of all of the Magic Kingdom resorts. The access to the theme parks is by boat (to Magic Kingdom) or bus. If you are looking for the most convenient in terms of transportation then consider one of the Disney monorail resorts. The Coronado Springs resort is a great option for those guests looking for a Disney moderate hotel. With almost 2,000 rooms in three themed beautifully landscaped areas the resort is set around a 15 acre lake Lago Dorado. Originally designed to attract conference business this resort does have a slightly different feel to it than other Disney Moderate Hotel Resorts. The rooms at 314 square feet are a good size (not much smaller than standard rooms at the deluxe Wilderness Lodge). All of the rooms are located in motel style buildings. The Coronado Springs main pool has a wonderful Mayan pyramid theme and features a 123 foot long Jaguar Water Slide. There are also 3 other quieter pools. All of the Disney theme parks and attractions are within a short drive, with Blizzard Beach and Animal Kingdom being the closest. The eating choices are rather limited though. The Maya Grill is probably one of the most disappointing of all of the Disney World Hotel Resort restaurants. The Pepper Market offers counter service dining. 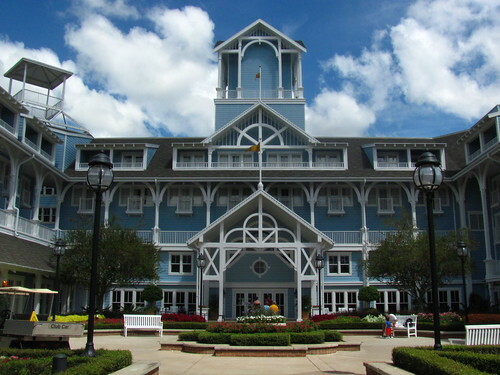 The Disney Beach Club Hotel is themed around a turn of the century New England style resort. It is ideally located within walking distance to Epcot, a short boat ride to Disney Hollywood Studios and a bus ride to all other Disney World attractions. At 381 square feet the rooms are not the largest of the deluxe resorts, but they are a good size. 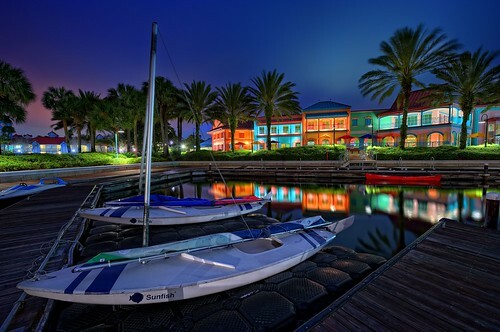 One of the major attractions of Disney’s Beach Club is Stormalong Bay which it shares with it’s neighbor The Yacht Club. 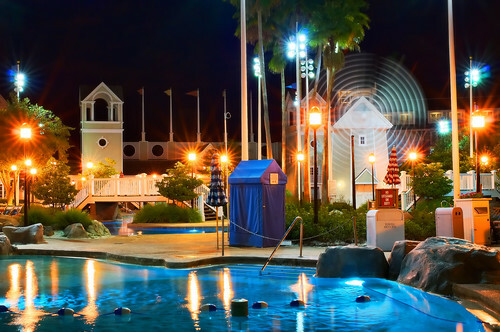 Stormalong Bay is regarded by most as the very best swimming pool of all of the Disney hotels and resorts. The pool, with it’s lazy river and water slide, became so well known that Disney had to impose extra security measures so non guests couldn’t use it! Now Stormalong Bay has a fence around it and you need your room key to access the area. Disney’s Beach Club resort has it’s own restaurants including the very lively Cape May buffet restaurant. You are within very easy walking distance of many of Disney World’s best restaurants including all of the Epcot World Showcase dining choices and The Board Walk restaurants. The Disney Caribbean Beach hotel is another great choice if you are looking for a moderate hotel. It is well located close to Epcot, Disney Hollywood Studios and Downtown Disney. This Caribbean themed Disney hotel has a very up beat feel about it – it is an idea family orientated Disney hotel which has great motel style accommodation. Like the Coronado Springs it is a very large resort with 2112 rooms on a 200 acre site. And just like Coronado Springs all the buildings are located around a 45 acre lake. This is perhaps a better choice for families for a moderate resort as it is rather more lively and colorfully themed than Coronado Springs. The disadvantage over the Coronado is that most of the Caribbean Beach rooms have 2 Full beds and not 2 Queens like the Coronado. A major attraction of Disney’s Caribbean Beach resort is the Pirate themed rooms. These are in one of the buildings only and are of course priced at a premium. Kids will love the Pirate themed central pool, and the adults may appreciate the quieter pools scattered around the resort. Yes, this is yet another of the deluxe Disney monorail resort hotels. They just can’t be beaten on location because of the easy access to Magic Kingdom and Epcot via the monorail. The Polynesian is located next to Disney’s Grand Floridian on the shores of the Seven Seas Lagoon. The theme of the lushly landscaped Polynesian is the South Seas and so you will find lots of tropical landscape, a sandy beach, and exotic waterfalls. The Polynesian Resort has the largest rooms of all the Disney hotels at 410 to 476 square feet. A disadvantage though is that not all of the rooms have balconies. The Polynesian rooms also have great views. Some over the tropical pool, but others have great views over the Seven Seas Lagoon and Magic Kingdom. The pool is small but very nicely themed and landscaped. The Nanea Volcano Pool is one of the nicest of any of the Disney World resort hotel pools with a waterfall, a slide and even a volcano. 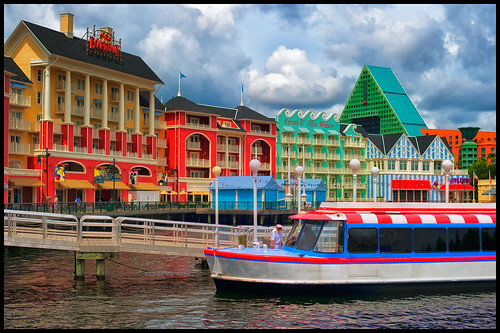 There are some good restaurant choices both within the resort and of course within easy access by taking the monorail to the parks or the other resorts close by. The Polynesian is also home to the very popular dinner show The Polynesian Luau. No Top 10 of Disney World Hotels would be complete without at least one of the Disney Villa Resorts included on the list. The Disney villas are a great choice if you have a larger party or are just looking for more space. 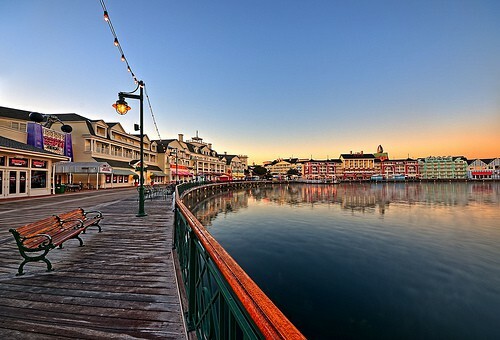 Disney’s Boardwalk Villas have an excellent location within easy walking distance of Epcot and a short boat ride to Disney Hollywood Studios. You can reach all of the Disney World theme parks, water parks and Downtown Disney by bus. There are 383 Boardwalk Villas including studios, one bedroom, two bedroom and three bedroom Grand Villas. They are part of the Disney Vacation Club but they can also be booked by non DVC members. The Luna Park Pool has a 200 foot water slide, there is a health and fitness facility and clay tennis courts available for use of Boardwalk Villa guests. There are lots of great Disney World restaurants within very easy reach on The Boardwalk, at Epcot World Showcase and in the other neighboring Disney resorts. Which is your favorite Disney World Hotel?